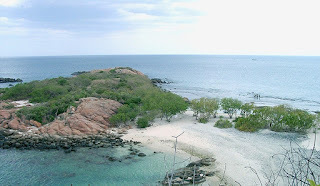 The 110 hectare island was built at a cost of $ 60 million during the Rajapaksa regime to promote tourism. It is reported that today’s market value of this island is over $ 500 million. Earlier it was planned to construct tourist hotels and recreational facilities at this island, but with the Hambantota port being leased to the Chinese, China claims that this island too is included in the agreement. This new island should be gazetted as an island which belongs to Sri Lanka’s territory. However, this has still not been done. In order to gazette this island, the approval of the Southern Provincial Council is required. However, there is stiff opposition from the Southern Provincial Council over the government’s intention to give this island to China, it is learnt. Hence, the issue of the said island is showing signs of escalating into a huge issue.